Used in enormous quantities on every menu in some form or another, alliums are undoubtedly a best seller at New Covent Garden Market. "The size of the allium family is amazing. They are the foundation of most cuisines around the globe and, unsurprisingly, alliums are one of our biggest sellers. Virtually every order includes them and yet they are often overlooked as a group. "We have excellent British growers providing us with different varieties across the year and where we can't get British, we source the best European alliums as we believe this tops the quality of other imported varieties." In an array of colours, flavours and shapes these little beauties are capable of transforming a dish whether used as a garnish, infusion or essential ingredient. In addition, British farmers are increasingly experimenting growing different varieties meaning that chefs can source many alliums from UK producers via New Covent Garden Market for most of the year. Here we guide you through a selection of alliums. 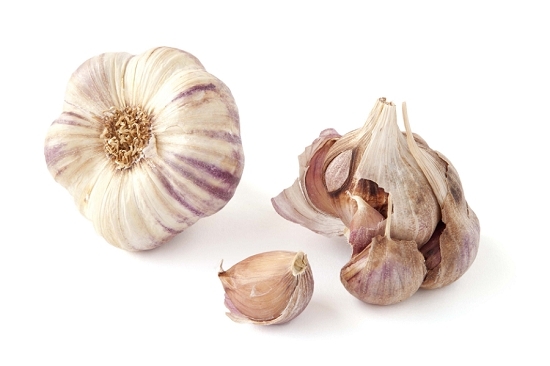 Properties: The smoking process imparts incredible aroma to the garlic bulb. 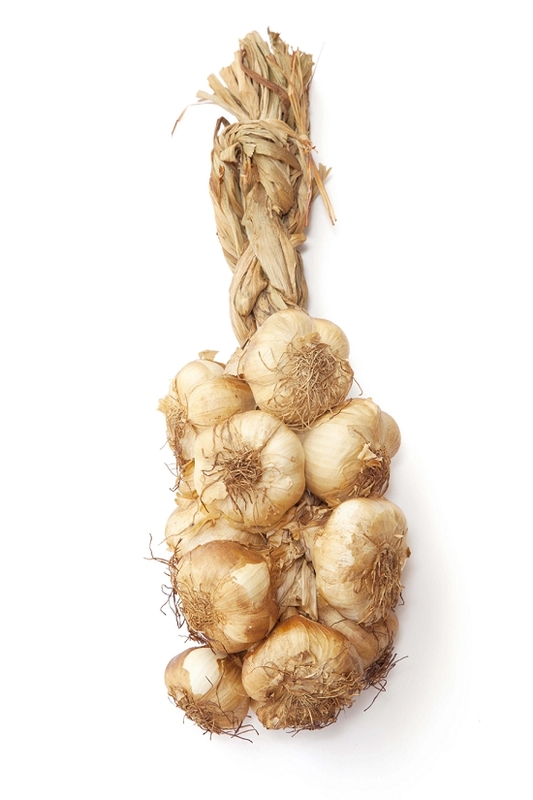 The volatile oils within the bulb are converted to sugar, making the garlic not only sweet but mild, nutty and smoky. Usage: Used in the same way as unsmoked garlic, it creates a unique platform of flavours unrivalled in the culinary world. Great used as a stuffing for chicken or as a soup. Notes: Smoked garlic is partially cooked, expect it to keep 4-6 weeks from date of purchase. Properties: Rose coloured inner layers. Usage: It can be used anywhere you would normally use garlic - raw or cooked, sliced, chopped, crushed or unpeeled, but also in a variety of recipes such as pink garlic soup, walnut and pink garlic tart, lime and garlic sorbet, and even pink garlic chocolate cake! Notes: Pink Garlic is a "hardneck" variety which means that the stalk is solid and cannot be plaited, it is therefore wrapped into bunches or Grappes as opposed to the strings made from the "softneck" varieties. 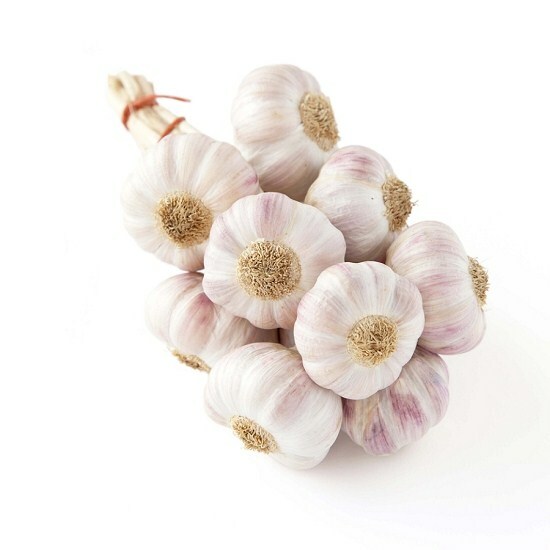 Pink Lautrec Garlic is a Product of Designated Origin grown in the Lautrec region in South West France. The Garlic can remain edible until well into the following year if kept in dry, cool or ambient temperatures. Do not store in a fridge. Properties: Strong, flavoursome garlic which is distinctive for its purple / violet hints in the outer skin. Usage: Salt bake or roast for a subtle flavour. 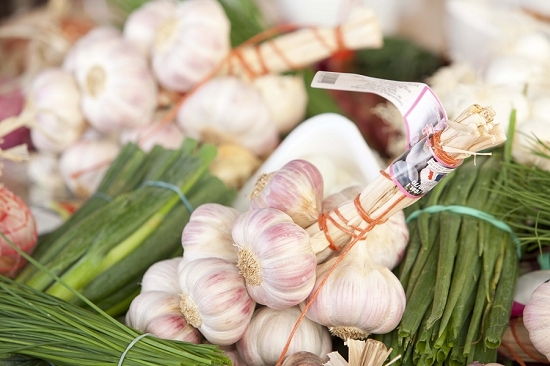 Notes: Harvested in June, Violet garlic is usually available once dried in September. Can remain edible until well into the following year if kept in dry, cool or ambient temperatures. Do not store in a fridge. Properties: A lovely sweet flavour compared to their green counterparts. 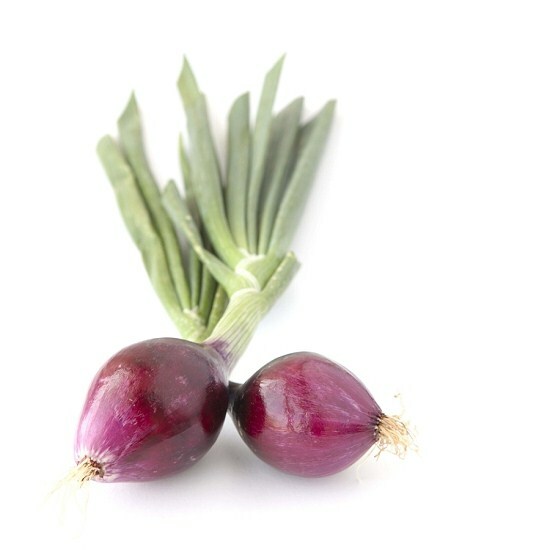 These young onions resemble a fresh shallot with their small, slightly bulbous root. Their moist, ruby skin is juicy and crispy, whilst the green stems are pungent and best used sparingly. Usage: Makes a good accompaniment to game dishes. Notes: Leave the green tips on when serving for visual effect. Properties: These flavoursome white spring onions are sharp yet sweet. 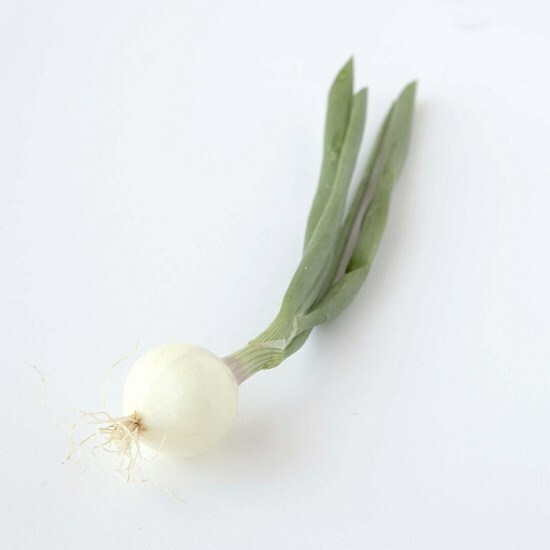 Grelote Onions grow in bunches and their bulbs are always small, round and white, like that of Pearl Onions. Usage: As well as the bulb you can even use the stems snipped finely. Notes: Grown in France, particularly Rungis. Properties: Small, flat, pale onion. The flesh is a slight yellowish colour and the skins are thin and papery. 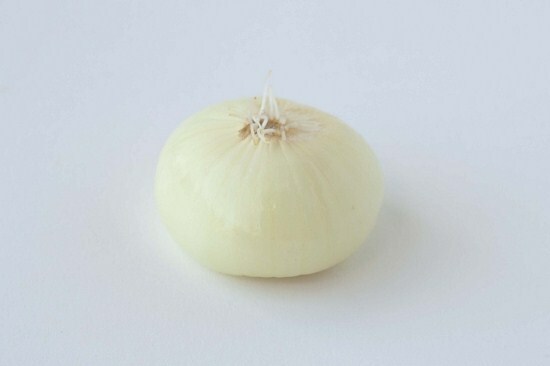 The colour of the skin ranges from pale yellow to the light brown of Spanish onions. These are sweeter onions, having more residual sugar than garden-variety white or yellow onions, but not as much as shallots. Usage: Their shape makes them perfect for roasting. Makes for a lovely addition to recipes where you might want to use whole caramelized onions. Cipollini Onions slice very well and cleanly and do not fall apart when sliced unlike other varieties. This makes them great for use in sandwiches, salads and on pizzas. Notes: They are harvested in autumn and may not be easily available year round (or may be quite expensive in other seasons). Slowly becoming more mainstream. Properties: The smallest and most delicate member of the onion family, chives are a popular herb used in European cookery. They have long, thin green blades that are hollow inside. They have a mild, grassy flavour similar to baby spring onions or young leeks. 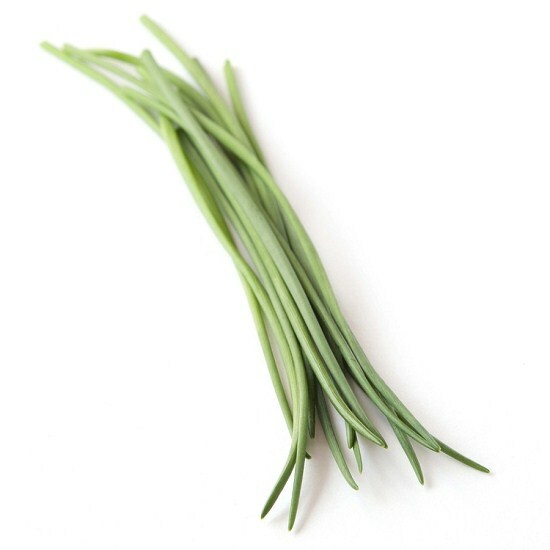 Usage: Snip chives with scissors instead of chopping them, and do not subject them to much cooking as they are delicate. Instead, use chives in garnishes, salads, egg mayonnaise sandwiches, vegetable stocks, soups, creamy sauces, potato dishes and omelettes, adding the herb to the dish just before serving. Purple-blue chive flowers are also eaten and used as a garnish. Notes: In season in Spring and Summer. Will keep well if refrigerated for up to three days. Properties: Shallots are used in Thai cooking almost as much as garlic. The shallots which are found in Thailand are smaller than the European varieties, and are a touch more flavourful. Usage: Thai shallots, especially when fried, have a more pronounced taste then regular shallots, and are often used for garnishing salads and snacks. Used a lot in South east Asian dishes. 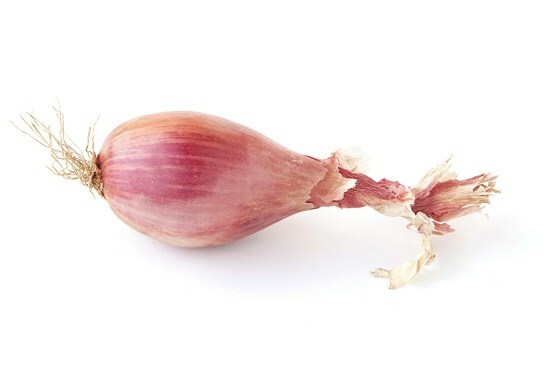 Notes: When buying, look for firm, heavy shallots with a dry wispy skin. If stored in a cool, dark and dry atmosphere, they'll keep for a couple of months. Soak for a couple of hours to make peeling easier. Properties: Banana shallots, a cross between an onion and a shallot, are the largest variety and are named for their size. They have a smooth, tan-coloured skin and are slightly milder than other types. As they're larger, they're swifter to prepare than the same volume of smaller shallots. Notes: British grown echalions are available from September to Mid-May. They are grown in the Eastern counties of Britain (Bedfordshire, Cambridgeshire, Suffolk and Norfolk) where the sandy soil and warmer temperatures provide the ideal growing conditions. 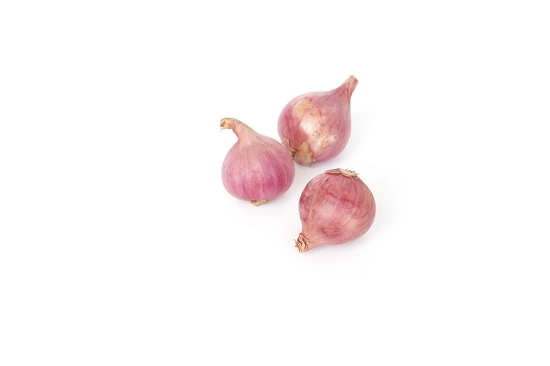 Properties: Small, round onions often used for pickling. Sweet and easier to peel than some others. Usage: Often used whole in traditional dishes such as Beef Bourguignon and stews. They hold their shape well and require little preparation. Notes: To prepare, soak in lukewarm water for half an hour and peel, trim the root and use whole. Properties: Long cylindrical roots with green leaves and white to the roots. 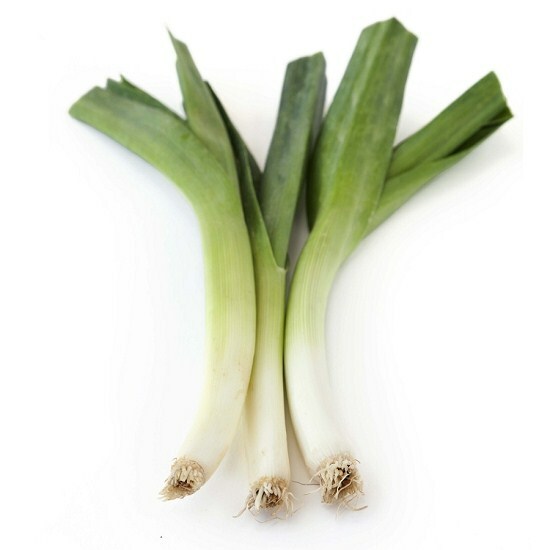 Usage: There are endless uses for leeks, in casseroles, soups and stews. As a side dish – great flavoured with lemon, roasted and chargrilled. Notes: Look for leeks with a bit of root left on, these will hold their shape better when cooking. Properties: Smaller, thinner versions of leeks. These are often more uniform in size than their larger counterpart so good to use when catering for large numbers. Usage: These don't caramelise as well as onions or shallotts so better blanched and chargrilled. Notes: Choose firm, fresh-looking leeks that have a firm white bulb. The layers between leeks can trap grit or soil so they should be thoroughly washed before use. 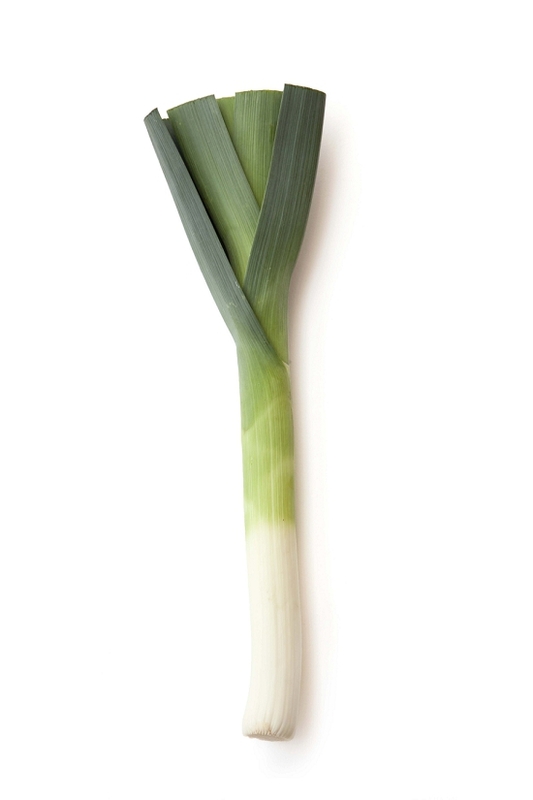 If serving whole leeks, stand the leeks upside down to soak in a tall jug of water, so that any dirt will float out.